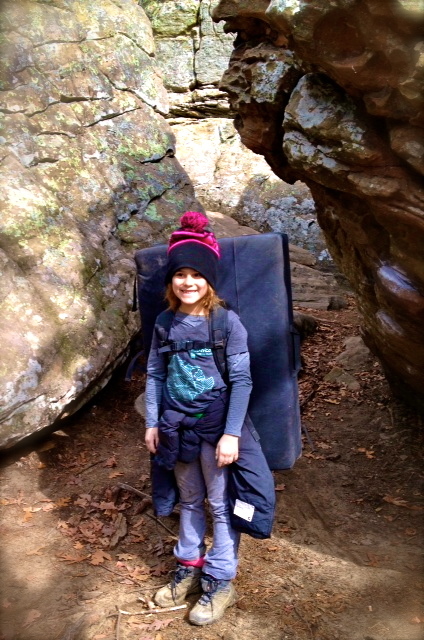 My Organic Climbing beanie, pad and chalk bag…everything I need to stay happy! 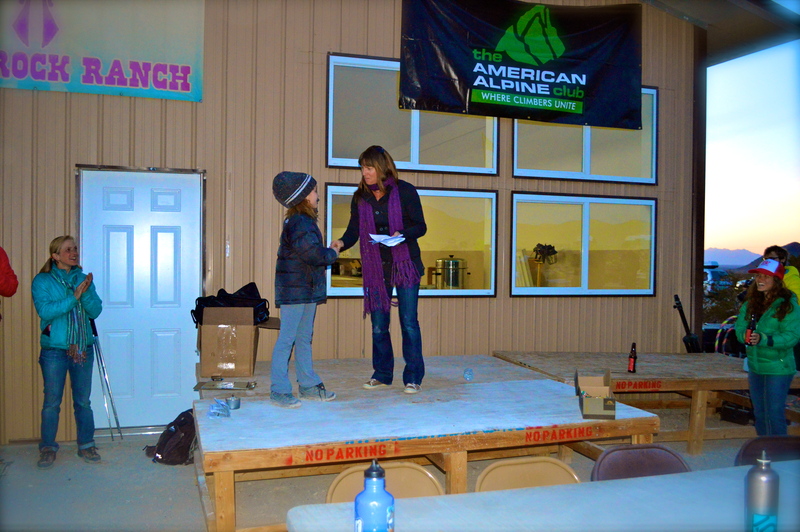 Back in February of this year, I had the opportunity to be a part of the Hueco Ranch Rodeo Competition. Amy, one of my readers, let me know she, her daughter Victoria and son Brandon would be headed by car from Minnesota to El Paso, TX. We did not have set plans, but we agreed we would try our best to at least meet and greet. I luckily ran into her in the bathroom line, and with an instant connection, we decided to pair up and all climb together. I was taken by surprise spending time with Victoria. 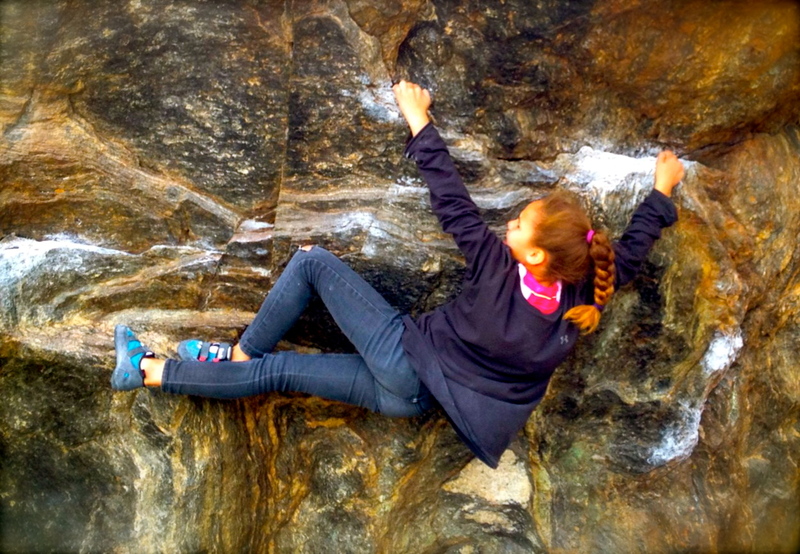 She is only 8 years of age, climbing for only one year and is a pretty awesome climber. She made it a goal to get her first high ball, and with no issues did a 25-foot V1 warm up. 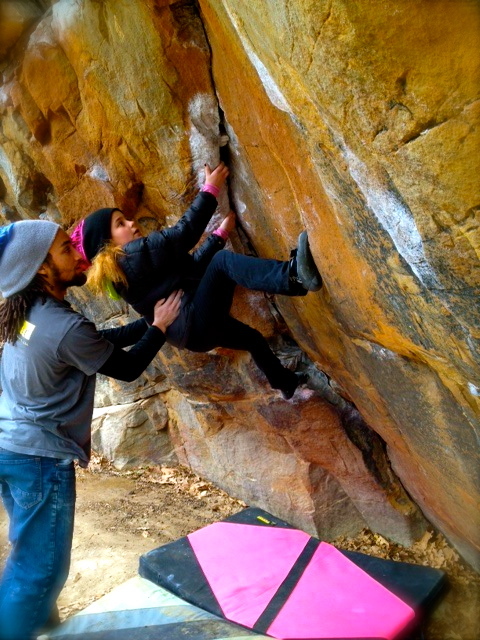 She then wanted to get her first outdoor V4 and did. She wanted to try to win the competition and she did. But most of all, this beautiful 8 year-old was very serious about our privilege to having access to the park, keeping everything clean, cleaning up any litter, and following the rules. She knows how to navigate using the map (cause the adults Doris and Amy would get kind of lost, haha) and she knows how to pick her poison (aka, climbs). She is very goal orientated, with a list of long and short-term goals and how she is going to achieve them. And she has her own little local ‘business’, where she sells hairpieces and t-shirts because she is innovative and creative like that! She has goals to put a dent into the climbing community and just really wants to climb all over the world, and she really said that! So, at 8 years of age, with the cutest, bubbly personality, you know I fell in love for this cutie pie! 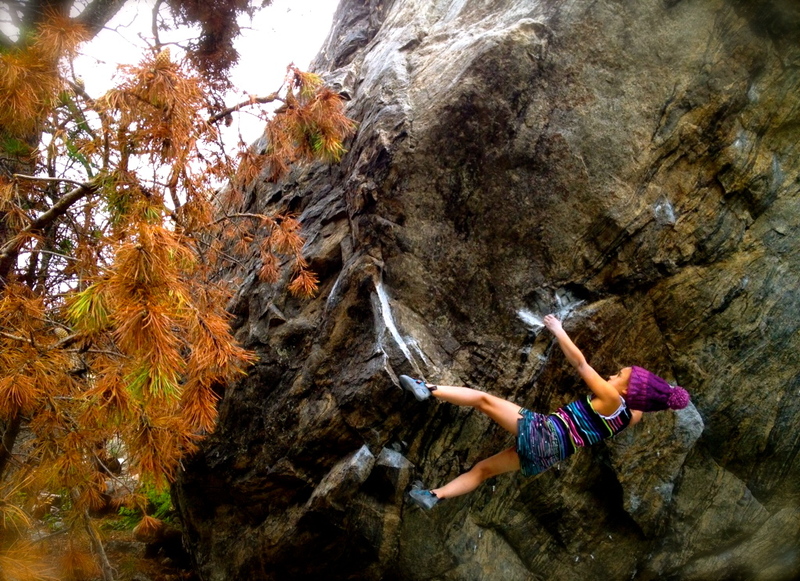 Already she has received a sponsorship with Mad Rock and also a Grassroots Sponsorship with Organic Climbing. The time I spent with her in Hueco Tanks was awesome, she not only got her climb on, but she was quite the cheerleader for her mom to get to the top of a few boulder problems too. 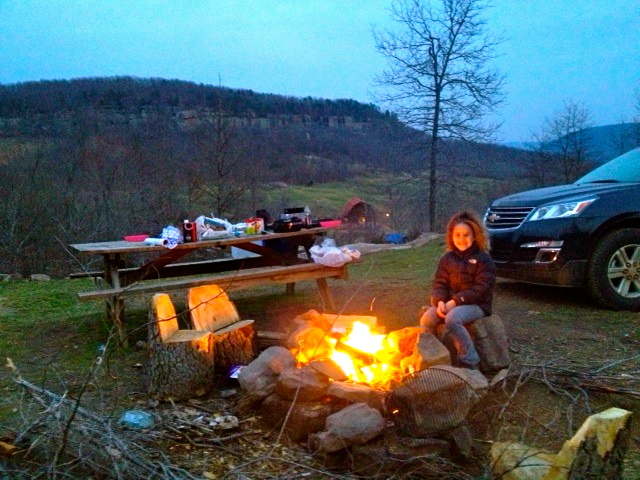 Also, she, her mom and brother Brandon have such an awesome relationship, I loved seeing how united they are as a family, the coolest outdoorsy family ever! This girl is special and amazing. And a super awesome interview with V goes something like this…. Tell us a little about yourself. I’m just a regular 8-year-old girl. I like Barbies, dancing and singing to One Direction and doing my nails. I use to play soccer and was the youngest on the junior figure skating team. BUT, now my favorite thing to do is climb, it consumes my life in such a cool and positive way. How did you get into climbing? My 19-year-old brother, Brandon, went to a YMCA camp back when he was 16. It was 14 days of rock climbing and canoeing. When he got home he talked our family into trying the climbing pinnacle at REI. Soon thereafter we got memberships at the local climbing gym, Vertical Endeavors. And I was hooked after climbing outside at Taylors Falls, MN for the first time! What has been the toughest part of your climbing journey? 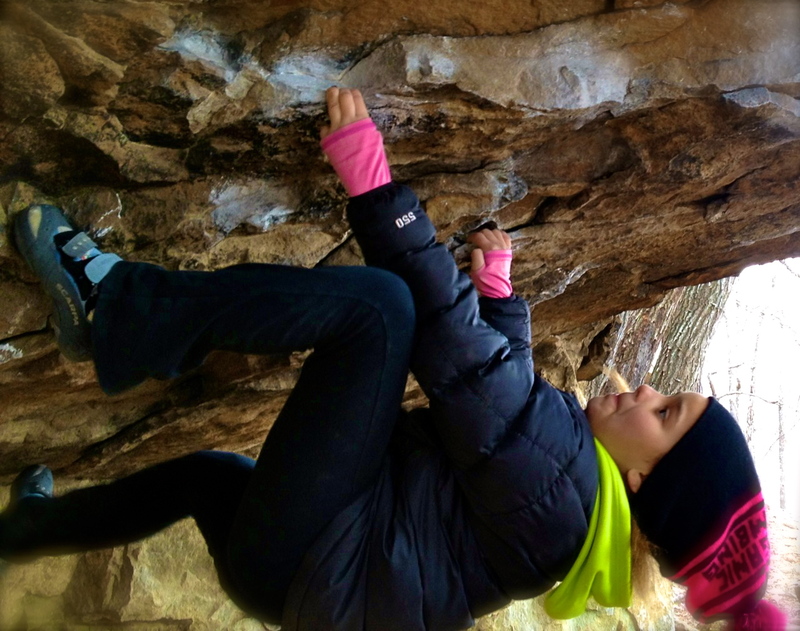 Learning how to balance school, training, climbing, and friends. What do you love most about climbing? 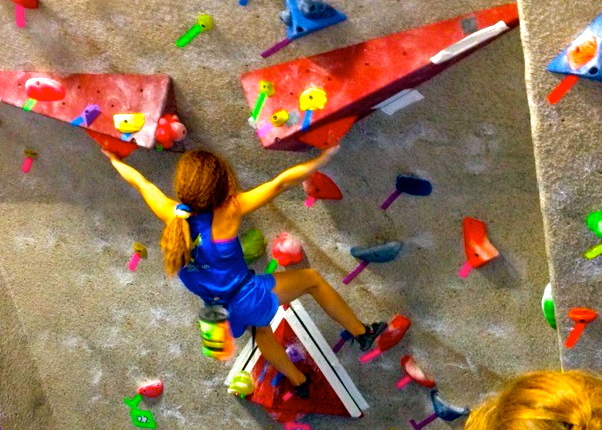 I really love doing dynamic moves and climbing on crimpy holds and the physical challenge of climbing. But the my favorite and best part of climbing is doing it outdoors in different parts of the country and meeting cool people everywhere. What are your goals, where do you want climbing to take you? 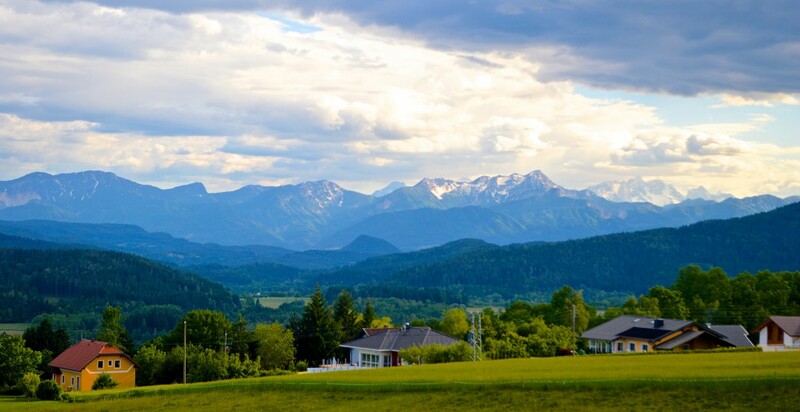 Climbing takes me all over the country to cool destinations already. But, I have a few different goals. First, I would like to climb a V10 by the time I’m 10. Also, if climbing makes it as an official sport in the 2020 Olympics, I will train hard to be a part of it. My short-term goal is to take ABS youth nationals by storm next year! What is your favorite climbing spot so far? It’s a tie between Bishop, CA and Hueco, TX. I love Bishop for the highballs and Hueco for the actual rock texture. Where do you dream to go? 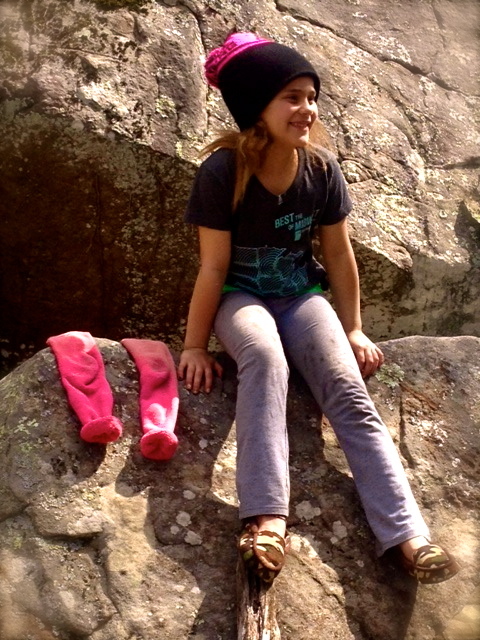 My dream was to climb in Hueco and my awesome mom made that possible in February of this year. In fact, I won, which made that journey all that much more cool and inspiring. My next dream to climb in Spain. If you had to choose, what would it be? Save your cool nail polish from chipping and missing the onsight, or getting the onsight and chipping that cool nail polish? Doris you are too funny! Well, I can fix my nails anytime, but will not get another chance at an onsight, so guess what, nails can go bye bye and hello onsights! J I dread it when my mom makes me cut my fingernails as I like my nails long, but long, pretty nails don’t get along with climbing! Who inspires you, well other than me (hahahaha)? Haha, yes you are inspiring! But, I think climbers truly inspire each other. It could be someone at the gym, at a crag or in a climbing video/movie. My main inspiration is my brother, Brandon. He climbs hard with passion. He’s a full time college student and head route setter at the climbing gym yet he still finds time in his busy schedule to train me and climb with me. 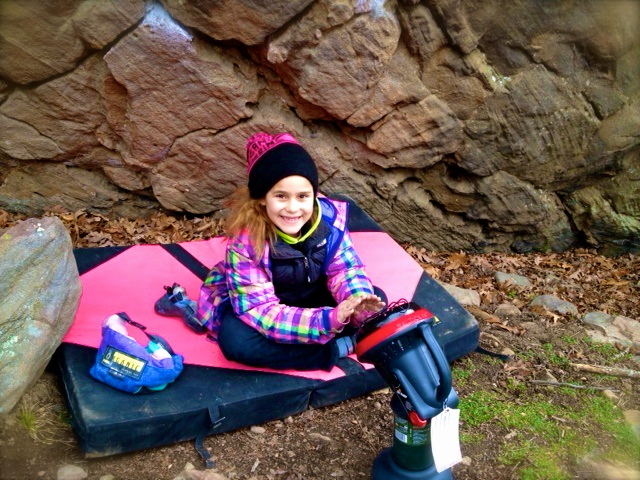 As a beautiful and courageous 8 year old, give us all climbers your climbing words of wisdom. Climbing is fun and a way of life for most of us, no matter how hard you climb. Remember why you first started climbing because it was fun. Keep the core of it fun and not so serious. When I take it too serious it makes me frustrated and I am sure most of you would agree taking the fun and joy of climbing makes is burdensome. I like climbing with my family and friends too, so I make it a point to do this often. I want to thank Amy and Victoria for allowing me to climb with them in Hueco and for this awesome interview. Victoria is training hard, is going to take the climbing community by storm and she ‘ain’t’ looking back. I wish her the best in training to be the best she can be as a person and climber and taking on the goal to win at ABS next year. Who knows, she has goals to go to Spain, and well, that is my playground…hint hint! Victoria’s journey is a vivid reminder and example to all of us, if you set your mind to something and work hard it, you will accomplish a lot in life! Go Victoria, crush crush crush! Be sure to check out Victoria’s sponsors and like their Facebook pages and get you some!